With advanced abilities enabling the download of label designs and the transfer images and graphics, the PT-9600 allows you to label in more ways than ever. Providing notebook-style portability, easy to apply crack and peel labels, and high resolution barcode printing, the PT-9600 is the ultimate industrial labeling solution perfect for Telecommunications, Asset Management, Plant Maintenance and Repair Operations and Pharmaceutical industries. The PT-9600 boasts professional quality 360 dpi resolution, making it easy to produce sharp, legible type that includes barcodes or serial numbers for everything from small circuit boards up to large 1.5" high signs. There are more than 400 symbols and 9 barcode symbologies included with the PT-9600. 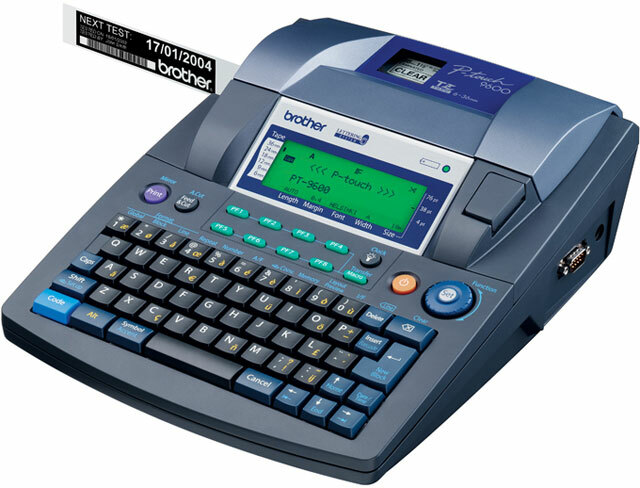 With built-in intelligence, the PT-9600 provides templates for quick labeling and comes with the ability to print in 10 fonts, 12 styles, and 25 font sizes for further customization. A large 20 character x 3 line backlit display makes previewing and editing text easy.